The German-Dutch journalists’ bursary programme was founded as the second IJP bursary in 1994. Every year it gives up to six Dutch and six German journalists the opportunity for a working visit in the other country. The delegates work for six to eight weeks in Dutch or German newsrooms of their choice while also researching stories for their home organisation. By being fully integrated into the day to day journalistic practice, they gain a valuable insight into politics, the economy, culture as well as the social fabric of the host country. For a joint preparation of the visit, all delegates meet for a four-day seminar in the Netherlands. Here, they can gather in-depth knowledge about the media market as well as the political landscape of their neighbouring country. During the first week of the programme those delegates who need more in-depth language training take part in an IJP sponsored intensive language course. 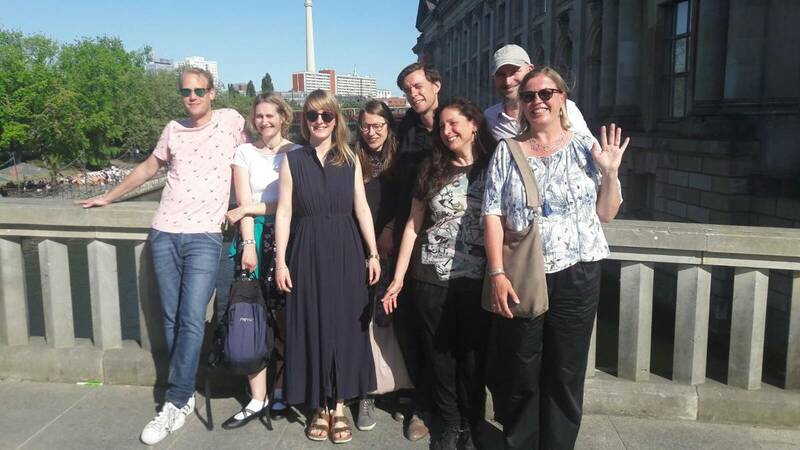 During the joint final meeting in Berlin delegates receive the opportunity to exchange their experiences and make new contacts with their colleagues, many of them stay in touch far beyond the framework of the programme. An annual Alumni meeting is another opportunity to discuss common ground and stay in touch. The delegates of the German-Dutch Journalists’ programme receive an award of 3,500 Euro from IJP. The sum is expected to cover travel and accommodation costs as well as most of the food costs. A certain amount of own funds is presumed. Payment for the work at the host media is not expected. Dutch and German Journalists who regularly contribute as freelance journalists or writers to German or Dutch media can apply. Applicants are required to send the following documents to the address below: Curriculum Vitae, a passport photograph, a short description of their journalistic plans in the host country, three samples of work (not more), TV and radio journalists must type up their reports since no audio or video tapes can be considered, as well as a journalistic reference from their senior editor or chief of staff. The reference should support the case of the applicant and at the same time ensure that the applicant is available for the duration of the programme. The application must be handed in before October 15th, 2018. The Dutch and German selection panels consist of experienced senior journalists. The selection committee will inform applicants by mid November 2018. A selection of partner media in the Netherlands since 1994: De Volkskrant, NRC Handelsblad, Trouw, Utrechts Nieuwsblad, De Gelderlander, Haagsche Courant, NOS, Nieuwsblad van het Norden. A selection of partner media in Germany: Aachener Nachrichten, Augsburger Allgemeine, Berliner Zeitung, DeutschlandRadio, Frankfurter Allgemeine Zeitung, mdr, Rheinische Post, Süddeutsche Zeitung, Der Tagesspiegel, die tageszeitung, WDR, Die Welt, ZDF.